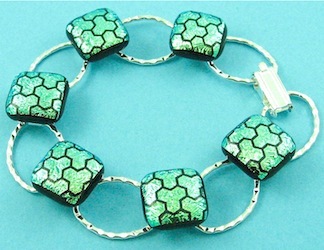 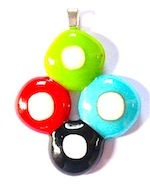 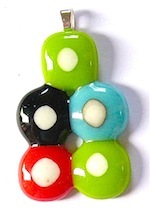 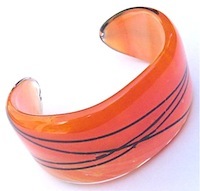 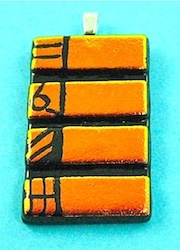 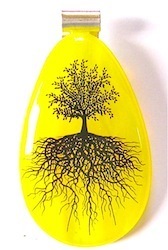 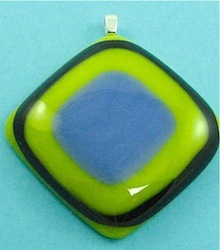 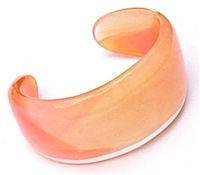 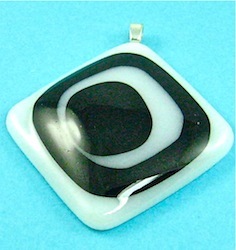 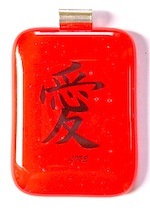 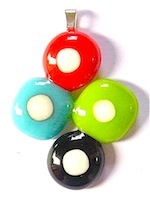 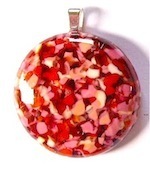 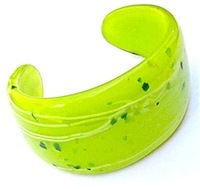 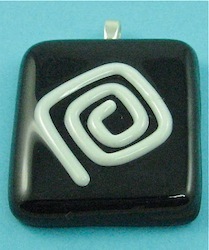 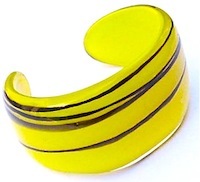 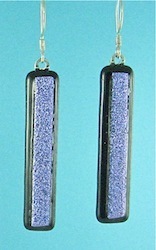 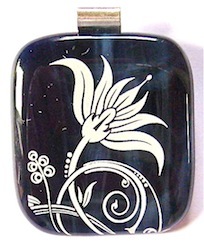 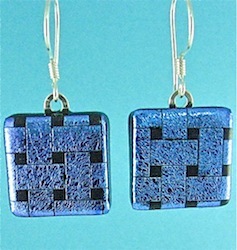 Fused glass jewelry can be produced in many styles and colors.It can be made from transparent or opaque fusing glass. 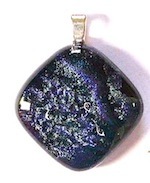 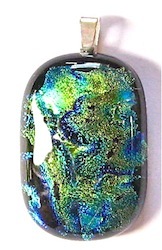 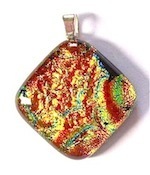 One of the more popular forms of art glass jewelry is the use of dichroic glass, which, after firing in a glass kiln displays brilliant colors which are not always evident in photos. 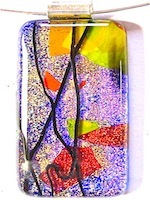 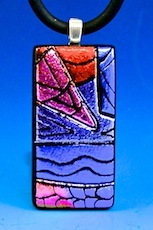 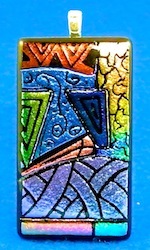 The gallery photos cover a wide range of styles and colors available to glass fusing artists. 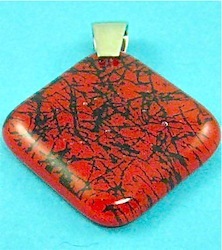 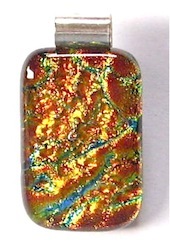 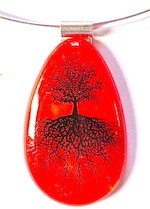 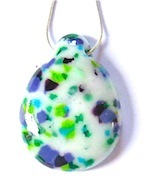 Pendants,earrings and bracelets can all be made in a glass fusing kiln using various fusing methods. 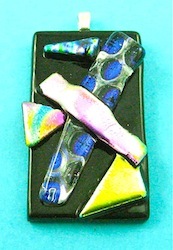 Kiln formed glass is exciting as you are never quite sure what the final result will be when you open your glass kiln. 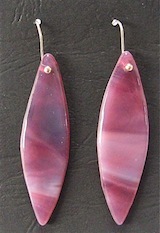 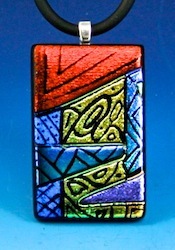 Color shifts and shape changes can produce great pieces of glass jewelry. 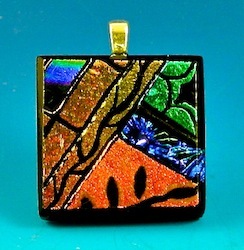 Dichroic glass produces such a range of colors that are so brilliant and surprising. 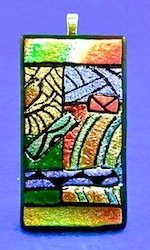 Some designs require a number of firings as the design may need to be built up with additional glass layers. 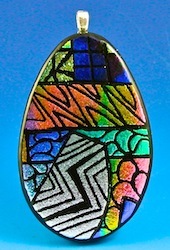 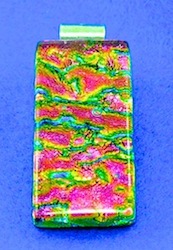 Many dichroic glass designs require a layered firing approach. 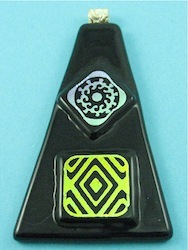 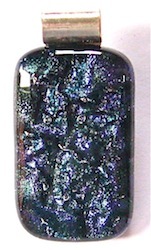 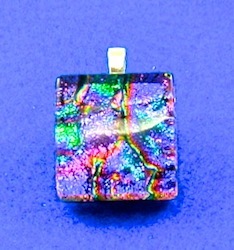 Dichroic can be etched chemically or with diamond engraving tools. 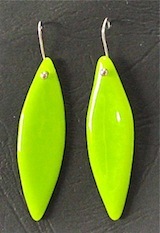 Either approach will result in very original designs. 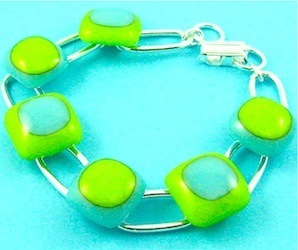 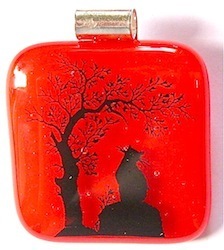 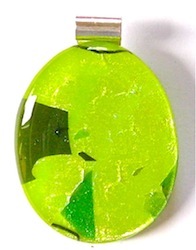 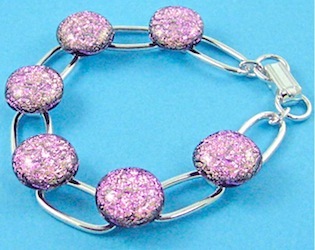 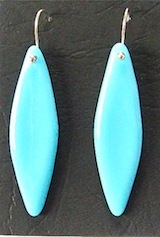 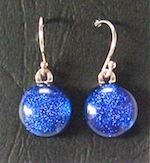 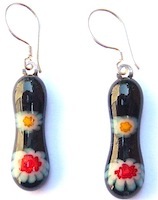 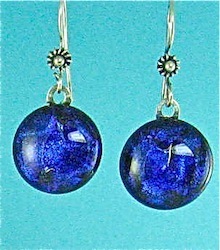 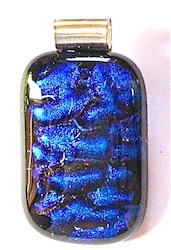 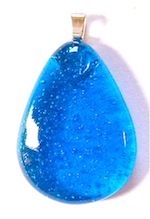 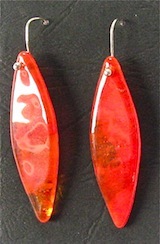 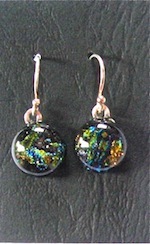 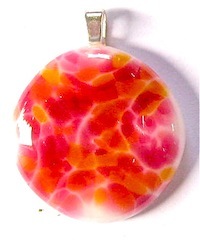 It is not difficult to make art glass jewelry that will give you a great deal of enjoyment.